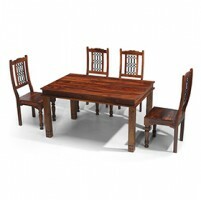 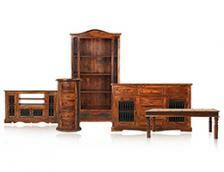 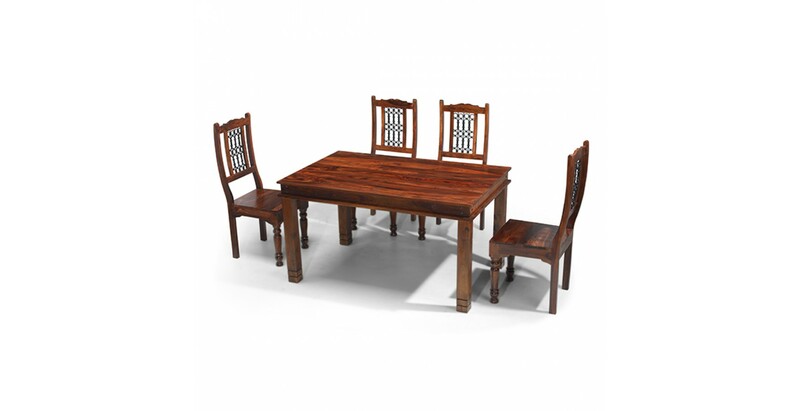 Influenced by colonial furniture, this skilfully handmade table will add immense charm and character to your home. 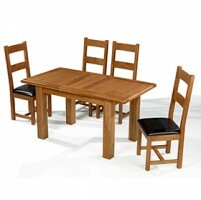 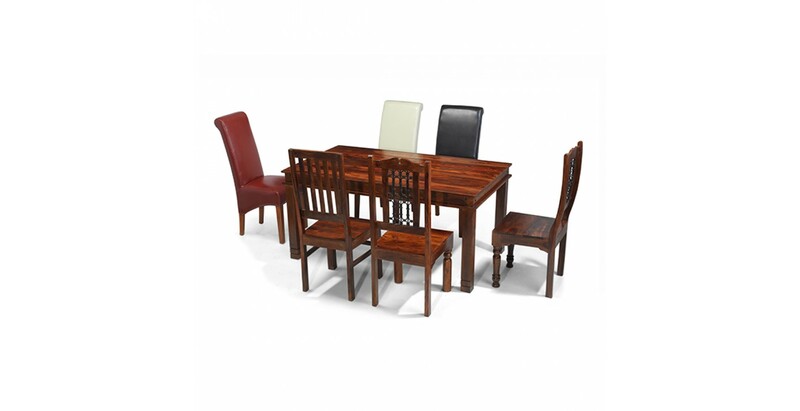 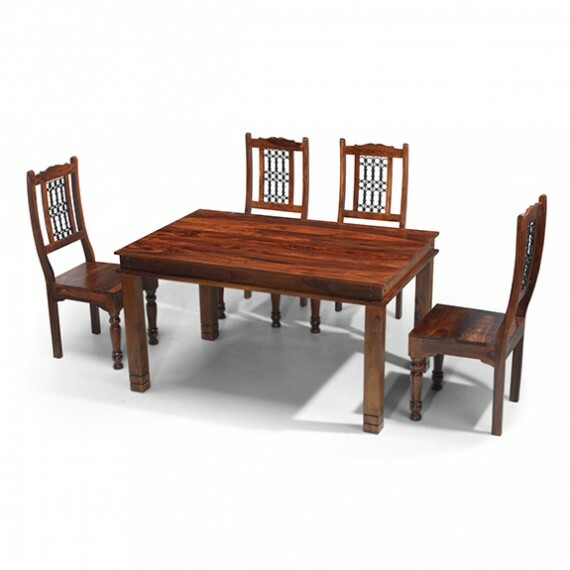 Perfect for everyday dining, it's made from dark-hued sheesham wood and features iron stud work on the border and routed detailing on the square legs and is finished with a wax lacquer to keep it looking its best. 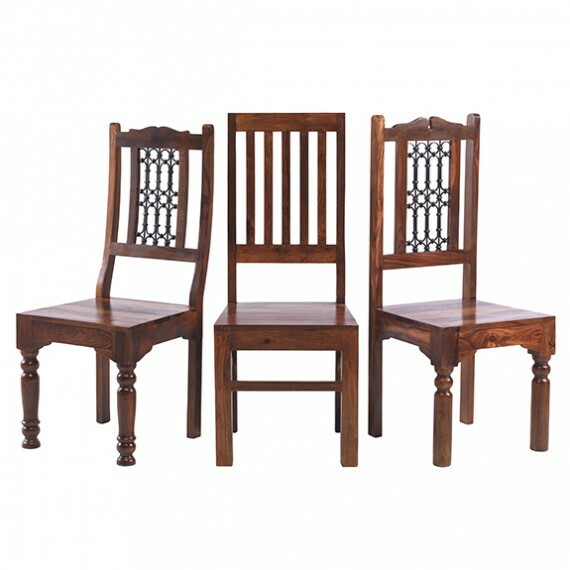 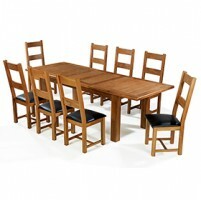 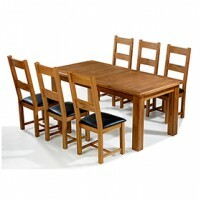 And to finish it off in some style, you can choose a set of chairs that will best suit your décor. 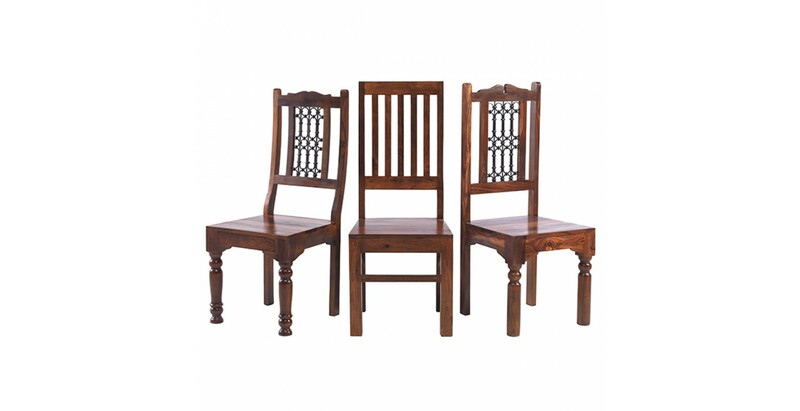 Pick between our simple Jali High Back Slat set, or either our Jali High Back or Jali Low Back Ironwork sets if you want something a bit fancier. 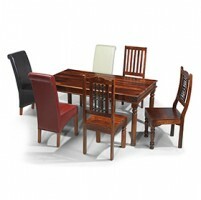 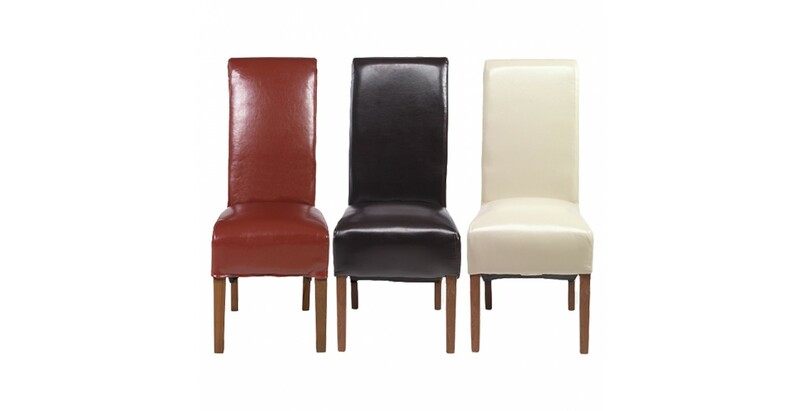 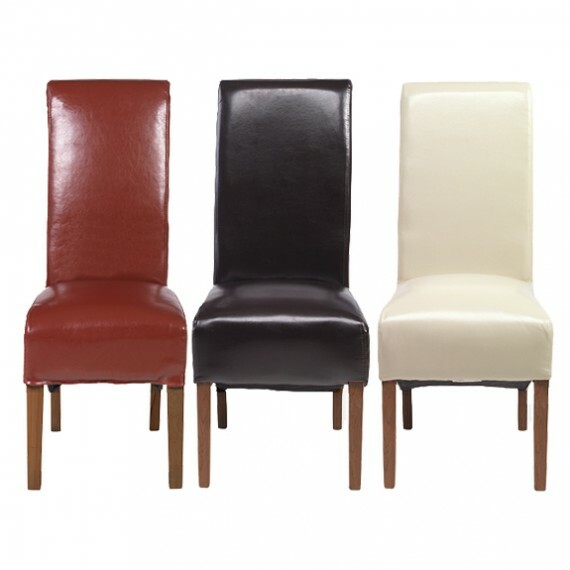 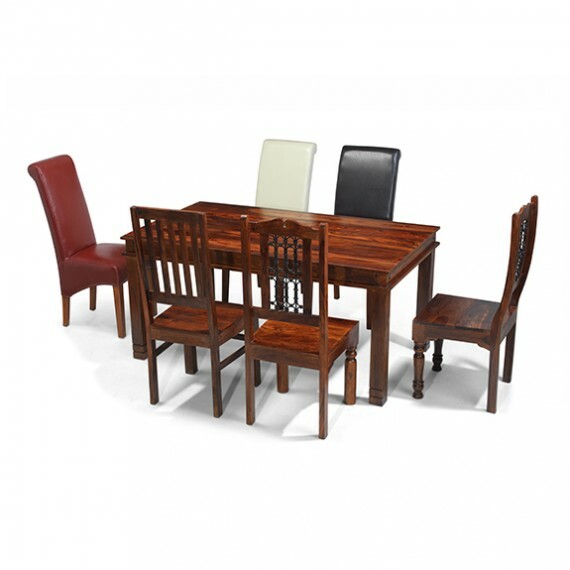 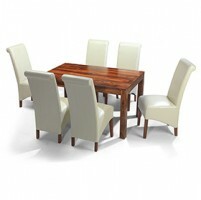 And if they don't suit, perhaps our more contemporary bonded leather chairs in red, brown or beige will fit the bill.